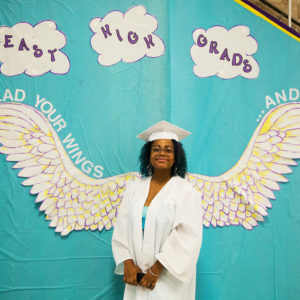 Saturday, May 4, 2019, 9 a.m. -12:30 p.m.
East High School, 1801 East Main St., Rochester, N.Y.
CUES will host a forum on the role community schools play in addressing academic, social, and emotional needs of students and families. Attendees will choose among different sessions where community leaders will discuss developing partnerships with schools and communities. 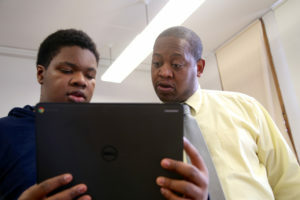 East High School will highlight its partner agencies that are seeking to expand into additional school settings in Rochester. Sessions are designed to encourage dialogue and to share best practices across the region. 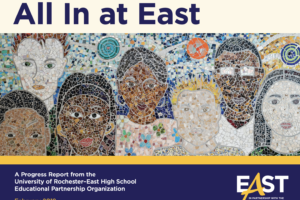 February 2019 — The EAST EPO has issued a report to communicate the progress of East High School in the first three years of the partnership with the University of Rochester. 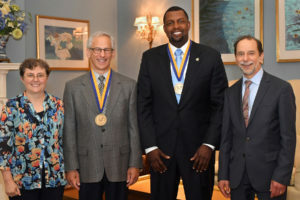 The Center for Urban Education Success supports and researches this partnership. Students, staff, and families have accomplished a great deal, and the trajectory for the future looks positive. Report in English. Report in Spanish. Thank you for visiting the Center for Urban Education Success (CUES)! At CUES, we believe in equity and excellence for ALL students. In order to meet this demand, we must consider questions such as: Who will begin to change systems so this work and accountability is shared? And, under what conditions can this change take place? At CUES, we work daily to explore innovative approaches to tackle persistent challenges which hinder educational systems. More from Director. CUES studies best practices in urban education and produces various resources for interested educators and scholars: research articles, practitioner briefs, videos, professional articles, and resource guides. Absenteeism is a persistent problem, particularly acute in urban school settings. 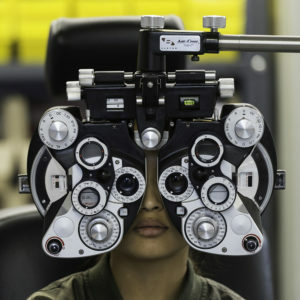 According to the US Department of Education, six million students (one out of seven) are missing at least 15 days during the school year, increasing their likelihood for lower achievement and dropping out. 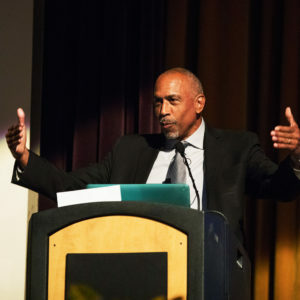 As more and more schools are realizing that the traditional approach of punitive discipline is not only ineffective in improving student behavior, but resembles the culture of prison systems, they have been turning increasingly to a restorative practices approach. Bullying, which involves an intention to do harm, repetition, and a power imbalance between bully and victim, has become a public health concern not only in the U.S. but worldwide. Alongside the increased attention to bullying, a related phenomenon of cyberbullying has emerged. In a distributed leadership structure, leadership roles are supported and shared among many individuals in the community. By expanding accountability and voice to teachers, staff, students, and families, distributed leadership shifts leadership more widely and horizontally. 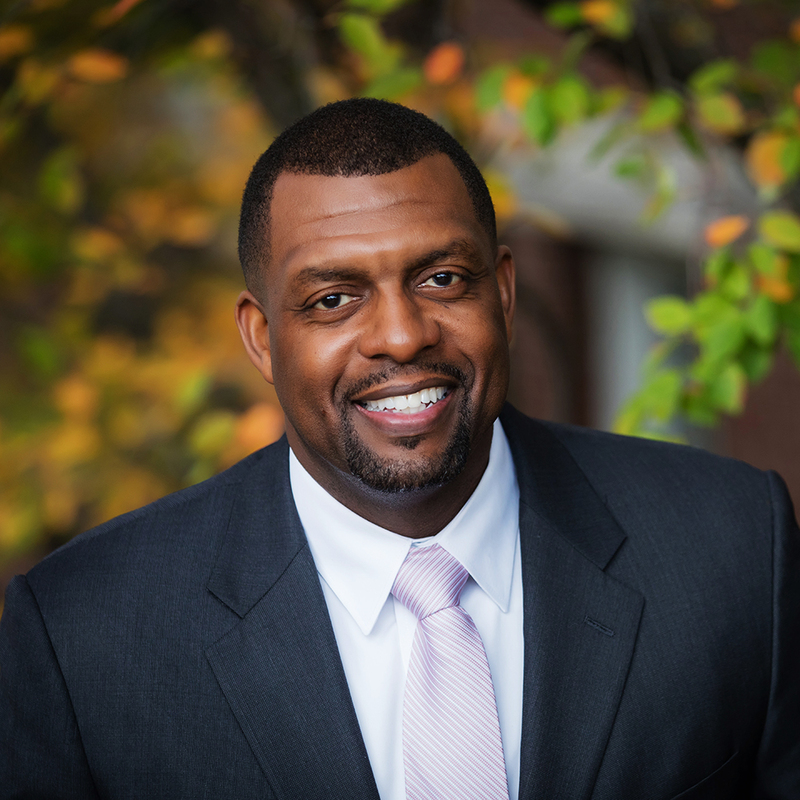 Step in for a look at the people, programs, and vision that are driving change at East High under the leadership of the University of Rochester – East High EPO. As featured in the November/December issue of the University’s Rochester Review in 2017. We have a deep commitment to research that is collaborative, participatory, and emancipatory. By researching alongside the East community, our goal is to produce more authentic and useful accounts of school change. Each year, CUES organizes a major symposium designed to showcase and support the work at East and engage the larger community in a conversation and professional learning opportunity to promote quality education in our cities and support the transformation of community schools. 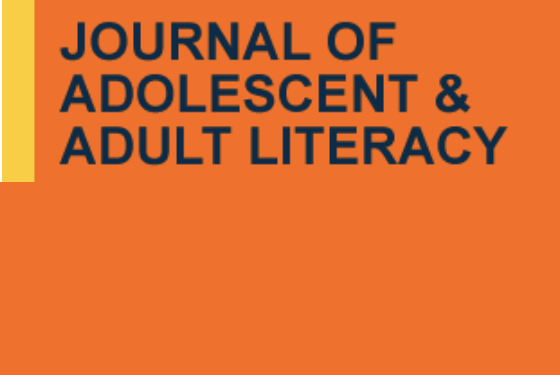 As a clearinghouse for research, we publish practitioner briefs that address particular topics, questions, and problems pertinent to urban education. We draw upon our network with other urban secondary schools to help understand how these schools are successfully addressing the challenges and questions they confront. CUES sat down with teachers, students, administrators, and staff to talk about the lessons they’re learning as they participate in this comprehensive project. The videos featured here share their successes, their struggles, and their plans going forward so that others who are interested in urban education reform may learn from their insights.